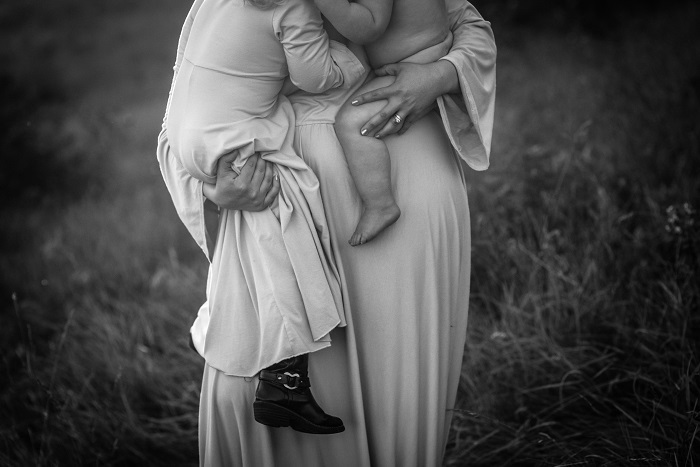 It was over a year ago when I first met the beautiful mother (Lindsay) who was the focus of this photography session. We met at the Rock Your Bump trade show that I had the pleasure of being a vendor at in April of 2017. 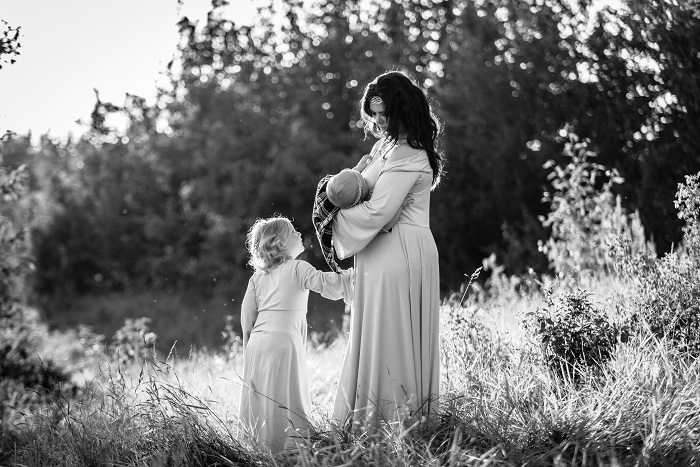 Lindsay came to me with the vision to capture the end of her breastfeeding journey with her youngest daughter. 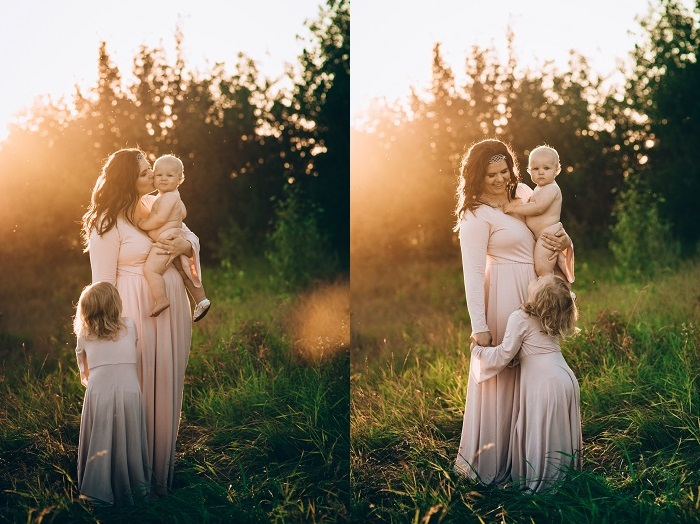 Lindsay also explained that she wanted to capture – what she coined – a ‘Celtic breastfeeding family photography session’ right here in Red Deer, Alberta. Now, while I am known for fine art creative photography, this caught me off guard just a little. 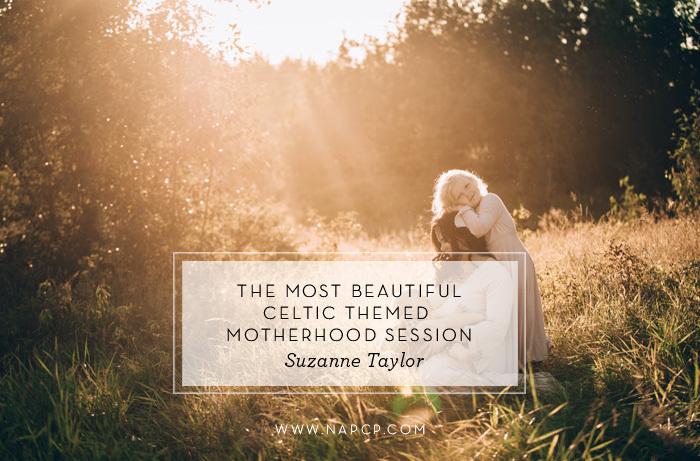 I had never seen a Celtic breastfeeding photography session before and had no idea what that really meant – but through the consultation process, I saw Lindsay’s vision and why the theme was so important to her. From there we planned what you see a very small sample of here (there were 90+ photos at the end for her to select from). Creative fine art photography sessions can also come with specific props that I provide. This session begged for floral crowns. 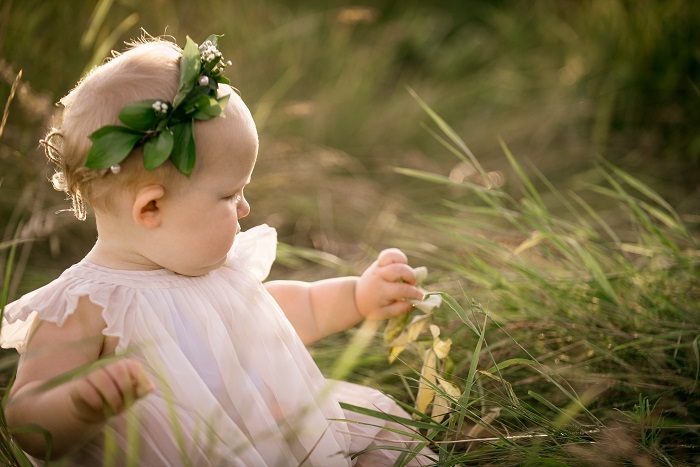 If you know my work, you know that I LOVE floral crowns and babies adorned with flowers. I get giddy just thinking about them and the crowns you see in these images came from Earthy Accents in Bentley, Alberta. It is seriously one of the best little flower shops in Alberta and they always create exactly what I am looking for when I decide last moment that “this” is what I need. Go say “Hi” and tell Leslie (the gorgeous owner) that you saw her work here – it will make her day! 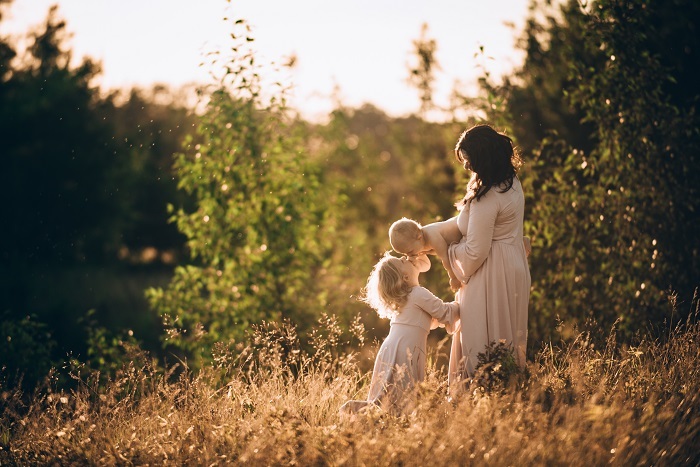 Motherhood photography has been an amazing niche to fall into with my family photography business. 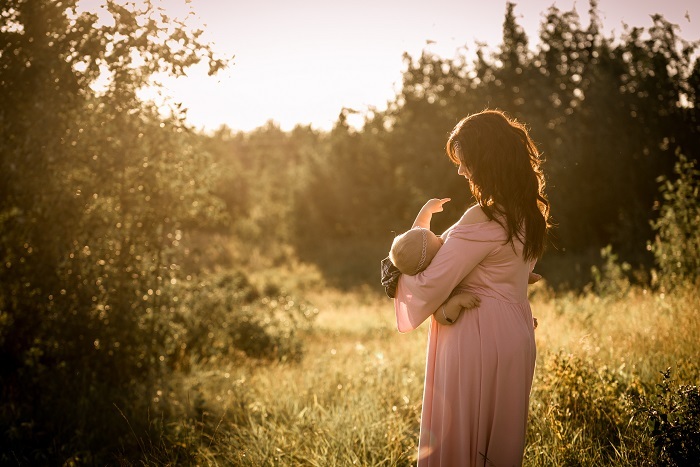 Motherhood is a period of life to be celebrated and remembered, while your baby (or babies) are still little. 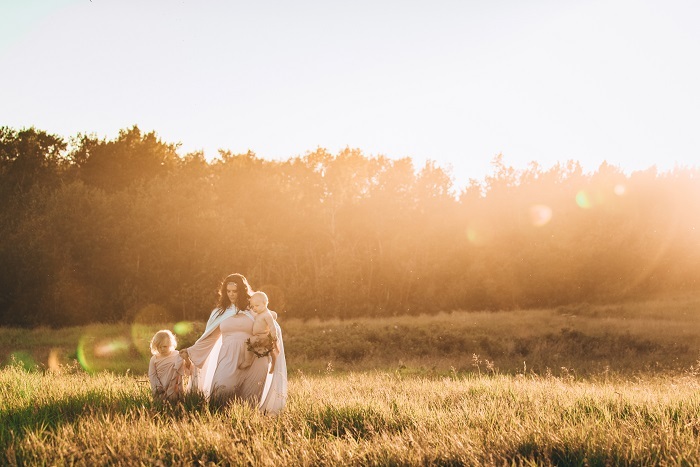 This motherhood photography session was the second fine art motherhood session that I have shot in two years (both in Central Alberta), and created imagery around that is both beautiful and in my opinion – of heirloom quality. 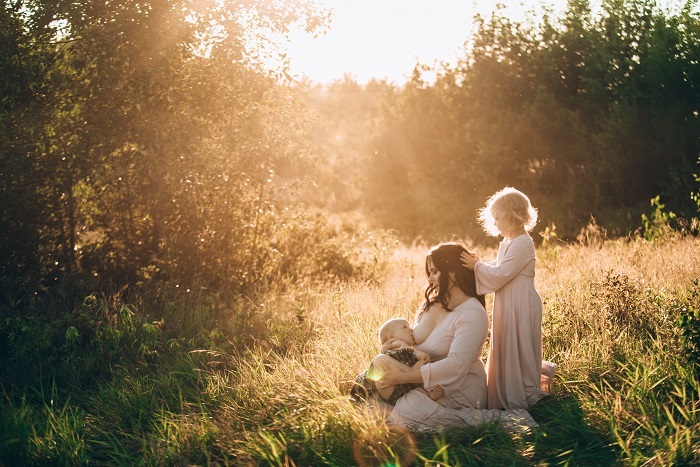 Creating images that tickle the soul and capture the imagination is the most exciting aspect of creative fine art photography, and this motherhood photography session was no exception. 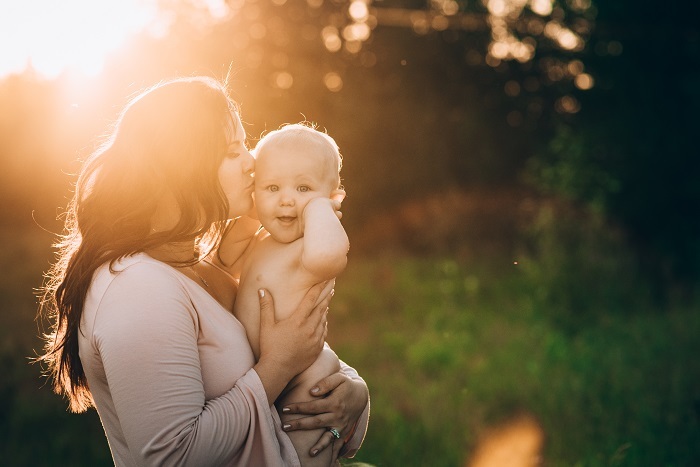 The visual connections between a mother and child is a privilege to capture, and it goes without saying that the passion a mother has for her kids is just breathtaking to photograph. The very best part of these sessions is allowing the family photography session to flow naturally. I run all of my sessions with the hope to be done 1-2 hours from start time – longer than the average family photography session. With all the preparation involved in a creative fine art photography session, it would be a waste to rush the photography and not let moments like these images depict form naturally. 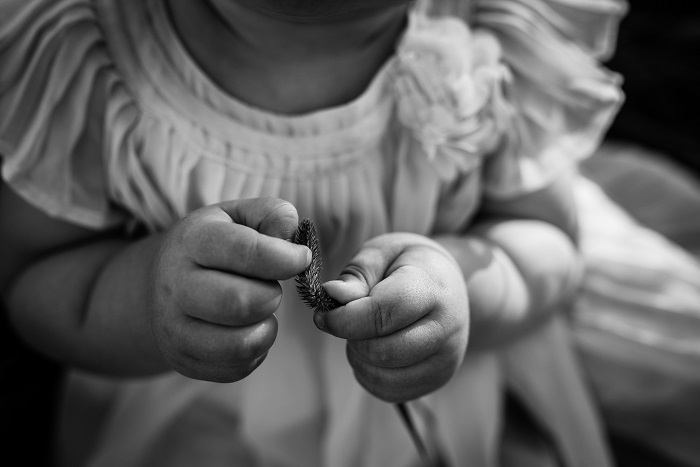 From a perfectly plump baby (I seriously couldn’t get over the rolls on that sweet darling – my babies were all very petite) to a perfectly confident and assured little girl their interactions with their momma were 100% genuine, authentic and real. Very little of this session was posed – and even that is a stretch as far as a description. I asked Lindsay to stand in certain spots so that the sun could be perfect for the images and lo and behold – the moments created themselves. Perfect pictures to top off a perfect and inspiring evening in Central Alberta. It all can’t be that easy? Was there a difficult part of this session that seemed flawless from start to finish? All fantastic shoots have their challenges and for this one – like all photography sessions, there are always a couple of little things that throw a wrench into the game. The first in this case? Thistle. That silly prickly weed that is always flourishing around the ground in Alberta in the middle of summer. It is a hazard for the littles, and for the bigs as Lindsay and I trounced through tons of it to find the perfect light and location for these images. I will add one more thing too … mosquitoes. There are always millions of mosquitoes in Alberta in the summertime. Announcing Our 2018 NAPCP International Image Competition Winners! 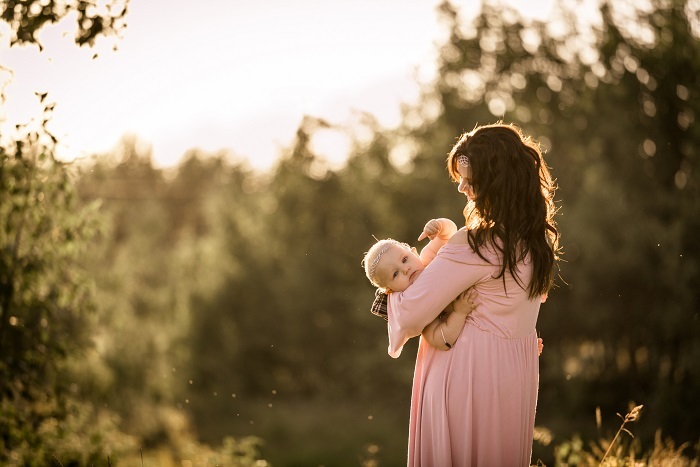 Why Focus on Photographing Motherhood? NAPCP Goes Back to School!